From 1823 De Maatschappij van Weldadigheid built three institutions in Veenhuizen in the province of Drenthe with the aim of giving poor townspeople and orphans in agriculture a new lease of life. Another important target group formed the beggars and vagrants. By staying in an agricultural colony they had to be brought up to work. In 1859 the government took over the institutions in Veenhuizen from the De Maatschappij van Weldadigheid (a society of benevolence). Veenhuizen then gradually developed into a penal colony and came enlisted at the Justice Department in 1875. In 1876 the last 16 working families left. However, begging was still disqualified as an outgrowth of laziness or criminality. Member of Parliament Van Houten referred to Veenhuizen in 1876 as “a courtyard for a class of people without honor”. From 1886 onwards, the institutions were designated as Rijkswerkinrichting. Around 1900, Justice built two more prisons and dozens of houses for the staff, as well as various churches and the Roman Catholic Presbytery. quotes from the many books that I have read about Veenhuizen and its history. Prisoners wore brown tubes and brown trousers and were known under a number (not under their name). That way they lost their identity. 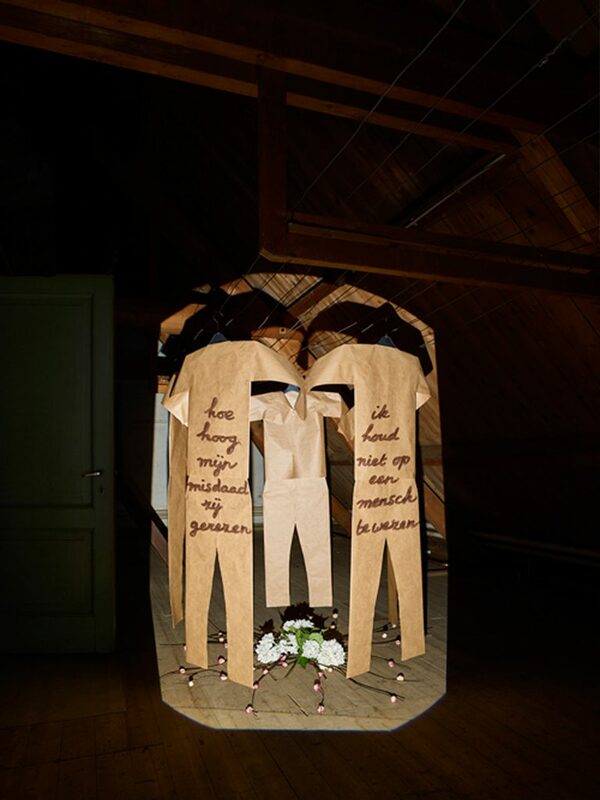 The installation “People without Honor” (Lieden zonder Eergevoel) made in the presbytery of Veenhuizen. This type of building in the municipality was provided with furniture and built-in cupboards made by prisoners. 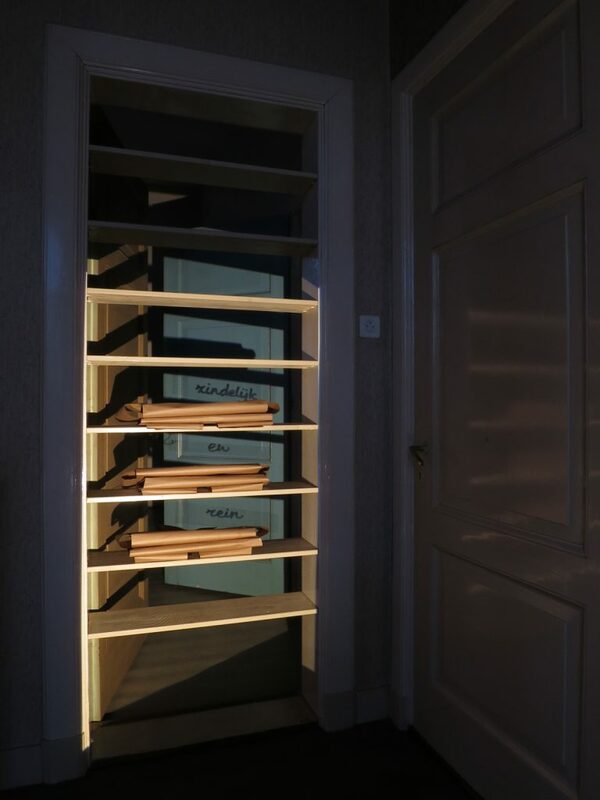 The installation “Neat and Clean” (Zindelijk en Rein) is made in the presbytery of Veenhuizen. “Neat and clean the last day of the week, as well as the first” was praised by colony dwellers as “in dearly honorable behavior”. 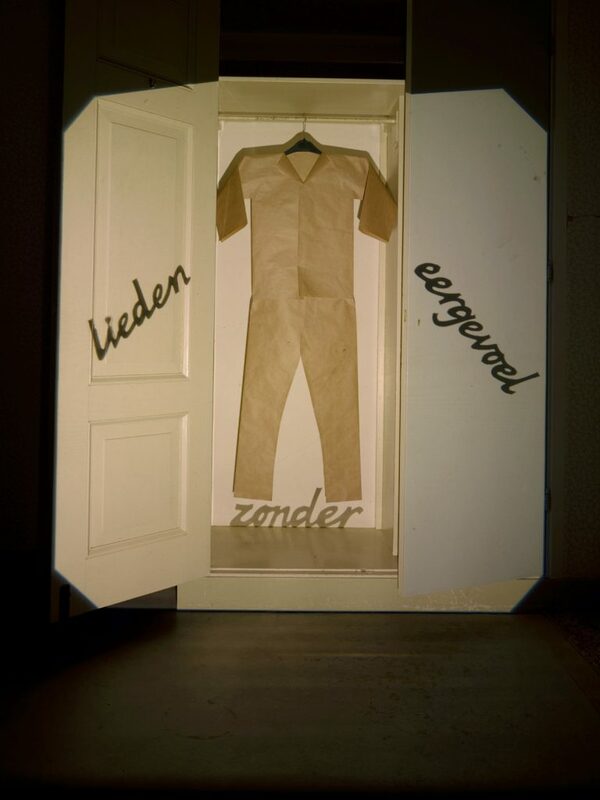 The installation “Crime and Man” was made in presbytery of Veenhuizen. Prisoners who behaved well were allowed to maintain the gardens of these kinds of buildings in small groups. The residents generally treated the detained gardeners as humanly as possible, for example, they secretly poured coffee for them.